UNIAL brand, marked A and it represents group of mostly lightest, non-insulated Uniplast closed box bodyworks, without cooling or heating devices (box body). 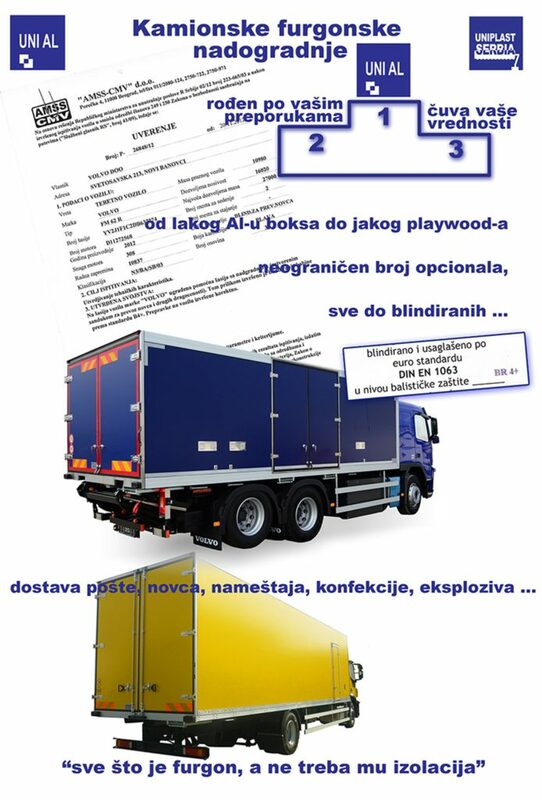 By the regulation 007/46, they can be marked 03, 99 … and they can be installed on vehicles of all categories. 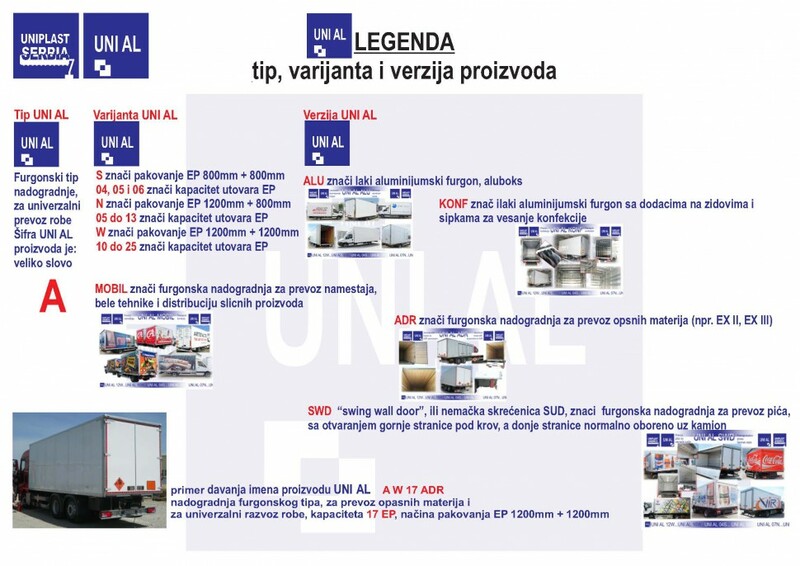 General Uniplast Serbia mark – code for this group of products is A. Type, variant and version of this upgrade. Certification on vehicle testing, which determines if the vehicle fulfills all requirements imposed by the Law of traffic security on the roads, published by Agency for traffic Safety.